A lot of home buyers will agree that making a real estate offer is not as easy as it seems. You need to put out just the right figure so make sure you get the best deal in this transaction. This is especially tricky for a lot of first time buyers out there. The thing about an offer is you cannot offer too high because let’s face it – no one wants to overspend more than the actual value of the property they are buying. And if you offer too low, you may end up insulting the seller that they will no longer entertain any offer from you. When that happens, you just lost your chance to bid on what could be your dream home. 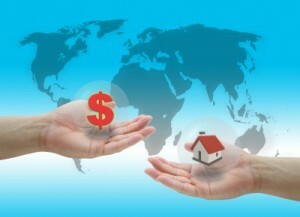 It is very important to look into the current market trends and prices of the home. You can even inquire about the price that the original seller was able to get for the home they are selling. That should help you estimate the price that you will offer. Bottom line is, making a real estate offer should be realistic and has a basis. You can’t just guess. If you want to negotiate, you have to cite reasons why you are asking for lower than the asking price. Before making a real estate offer, make sure that you know how much you can afford as well. It helps to get a mortgage pre-approval. This is a letter that will come from a lender and will show how much they will lend you – based on financial documents that you will send them. This document will not only provide you with proof of how much you can afford, it also signifies that you are serious about buying a home. It also shows that you can get the finances to complete the purchase. Know the type of loan that you will take and make sure all your documents are ready. You need to be able to act fast to close a deal – especially if you are transacting in a seller’s market. You might lose in a bidding war if you are not ready with your mortgage in time. The seller can easily go for another buyer and tell you the home is sold to someone else. Making a real estate offer should mean that everything is set in case the seller accepts your offer. That could mean a mere two weeks to process your mortgage and close the deal. This is especially true if you are making a real estate offer for a prime property. You need to be ready to go over the asking price – at least if you really want to own the home. But if you cannot afford it, make sure that you back out. Never offer for something that you know is beyond your budget. Sometimes, an offer is set verbally between the seller and the buyer. Even if you have made a verbal agreement, put it in writing. Never send a payment unless you have it in black in white. It is important that you know all of the costs involved in the sale – even the estimate of the closing costs before making a real estate offer. It has to be clear if the seller has to shoulder any cost on repair. Some sellers shoulder a portion of the closing cost. Take down all of these and ensure that it is clear with the seller. If you wish to know more about making a real estate offer and how you can maximize your real estate investment, get in touch with the Guldi Group. We have real estate professionals who can help you make a reasonable bid for the home you want to purchase.